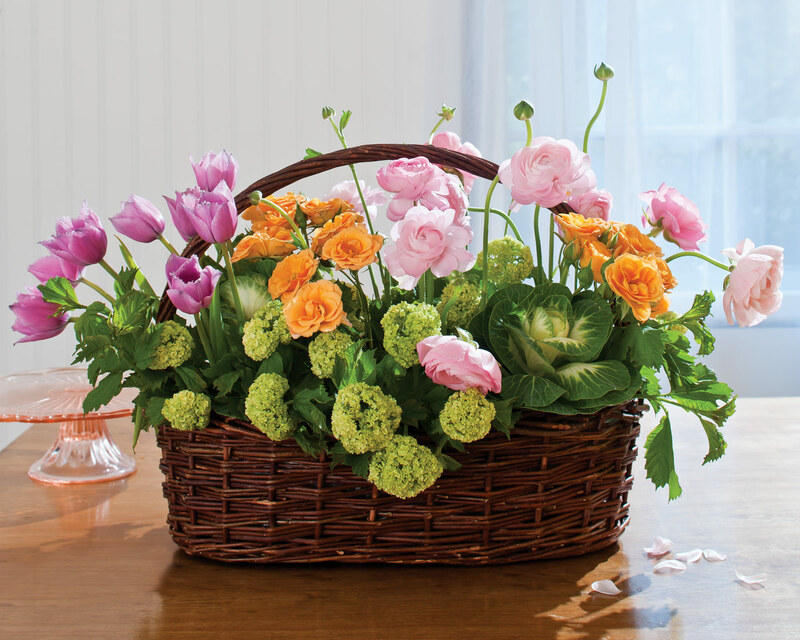 Brightly colored apricot spray roses, lavender tulips, and dusty-pink ranunculus combine with pops of chartreuse viburnum and earthy white kale in this lovely basket of blooms. To get the look, place floral foam in a plastic-lined basket. 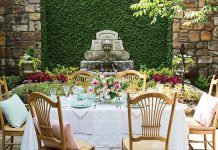 Arrange a green bed of viburnum and kale on the bottom layer. 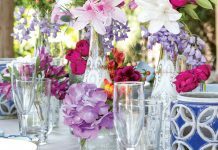 Then place flowers in groups, as if they’ve just sprouted from the greenery. 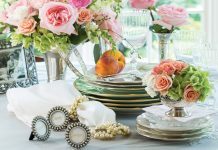 Present your heavenly hand basket as a hostess gift at an Easter brunch, or display its brilliance in the foyer to welcome guests with the beauty of spring.